Sulfurcell changed its name to Soltecture in 2011, but could not change its destiny—or create a BIPV market. Sulfurcell changed its name to Soltecture in 2011, but could not change its destiny. Which, apparently, is insolvency proceedings. According to a release, "Having extensively explored new financing options, the executive management saw no other viable option for averting the company’s impending insolvency at the present time." The CIGS startup had positioned itself as a supplier of "architectonically attractive solutions" for solar construction -- in other words, building-integrated photovoltaics (BIPV). Soltecture joins Germany's Q-Cells, Odersun, Solar Millennium, and Solon in the group of extremely troubled or shuttered German PV manufacturing firm. 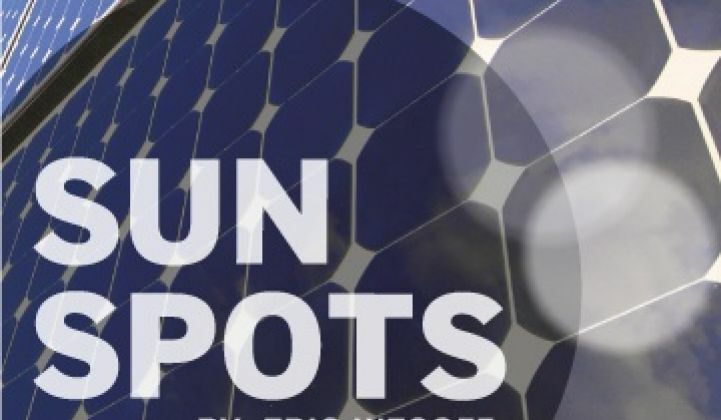 Q-Cells was Germany's -- and once the globe's -- largest solar manufacturer. It is now on the brink of bankruptcy. Shyam Mehta, Senior Solar Analyst at Greentech Media Research, had tracked the firm as having produced 2 megawatts in 2009 and up to 15 megawatts in 2010. Soltecture confirmed those numbers last year when we spoke to Dr. Nikolaus Meyer, the CEO. He said that the firm's roadmap would get the company to 14 efficiency from its then-commercialized products with datasheet values in the 9 percent to 10.5 percent efficiency range. The 250-employee company was focused on commercial and residential rooftops, as well as building-integrated photovoltaics (BIPV). The firm looked to differentiate itself not by being a pure module supplier but rather, by developing comprehensive solutions for the BIPV, solar construction and commercial rooftop sectors. At the time, Germany's feed-in tariff rewarded rooftop solar deployments and BIPV more handsomely than ground-mounted installations. Soltecture had a number of challenges aside from just being in the solar industry. The firm was going after BIPV, an as-yet-untenable market. And the firm was doing some or most of its manufacturing in Germany, an increasingly challenging place to build solar products. What Mehta of GTM Research concluded about Odersun applies here: "It's hard to be successful in a market that does not exist."